For many, the idea of martial arts brings to mind the likes of Bruce Lee, Jackie Chan, and Jet Li. With these action stars’ respective successes in the movies, new light was cast upon the traditional Chinese combat arts and a frenzy of interest in Chinese kung fu was set off. There are now schools around the world where you can acquire the fighting skills displayed on the silver screen, and millions of people are practicing one or another style on a regular basis. If you want to learn from a true master, however, consider making a trip to Taipei and signing up for classes at the Wing Chun kung fu school run by Master Lo Man Kam. With the end of the Chinese Civil War and the founding of the People’s Republic of China on October 1, 1949, many well-known martial-arts practitioners chose to escape Communist rule and migrate to Taiwan. This brought about an expansion of local interest in the martial arts and made the island a premier place to acquire expert training. Today, one of the best places is the school of Lo Man Kam. Established in 1975, Master Lo’s school has since the beginning drawn students from around the globe seeking training in the Wing Chun style of kung fu. After only a moment in Master Lo’s office, I understood that I was in the presence of a true expert. The room and its walls were replete with dusty trophies, aged plaques of various recognitions, and faded pictures of Lo with revered figures of the martial-arts world over the years. 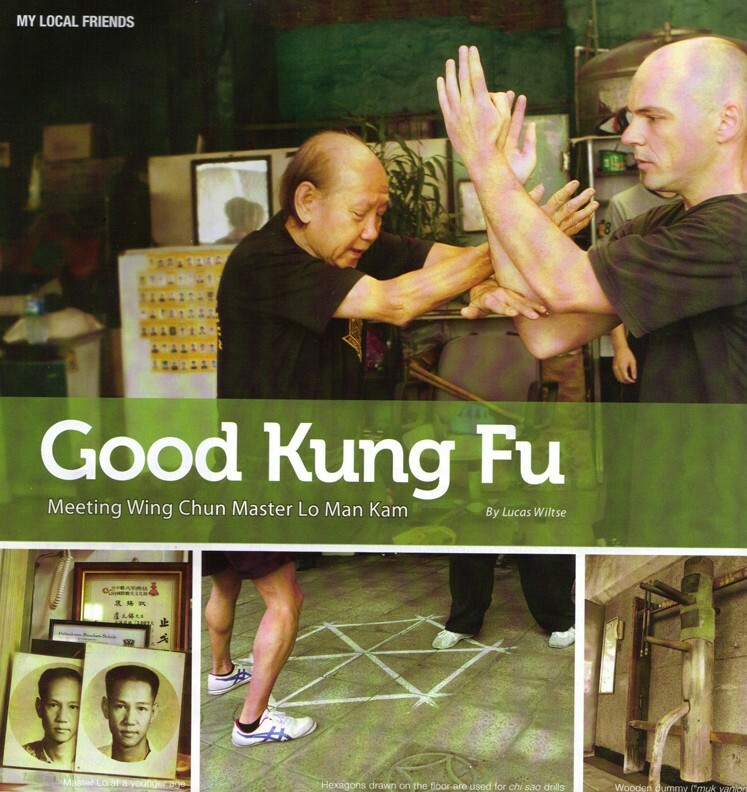 The master agreed to sit down with me and discuss his history, along with that of Wing Chun. I could faintly hear the muffled sounds of his students hard at work on the rooftop above as we began. One question I had been very eager to ask revolved around the somewhat obscure history of Wing Chun. One of many creation legends has it that Wing Chun was born where many forms of kung fu are said to have originated, at the famed Shaolin Temple in China. During the reign of Qing Emperor Kangxi (1662~1722), troops were sent to destroy the monastery for supposed anti-Qing activities. Only five of the Shaolin elders escaped the carnage and went into hiding, including a nun named Wu Mei. With them they took their extensive knowledge of kung fu. Later, it is said, Wu Mei fled to White Crane Temple in southern China, where she observed a scuffle between a snake and crane. This prompted her to incorporate the dexterous and efficient moves of these two animals in her Shaolin kung fu – the creation of Wing Chun. 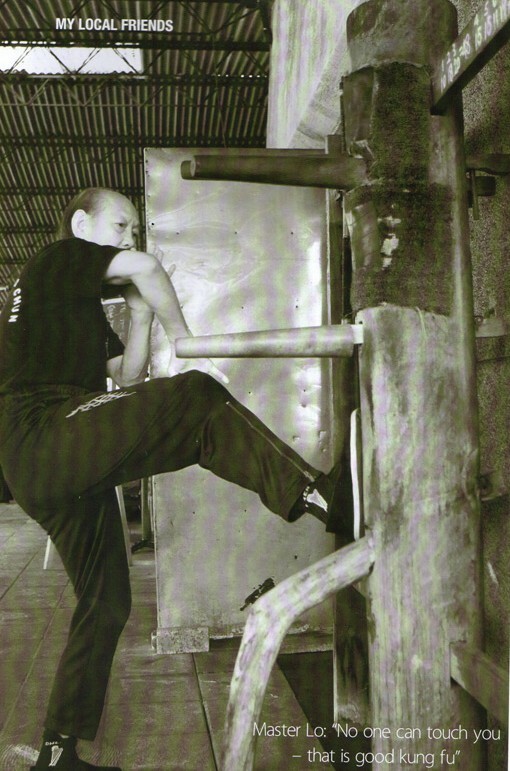 From the beginning, Wing Chun was used for both protection and aggression. This martial-art form, often used in revolts against the Qing, needed to be learned both quickly and efficiently by students during the period of its developmental stage. According to Master Lo, Wing Chun was created by the Han Chinese in order to survive the oppression of the alien Manchu Qing as they extended their rule over southern China. Master Lo’s Yoda-like physique may appear unimposing, but this conceals decades of experience and training in perhaps one of the most effective forms of the martial arts. He began studying Chinese kung fu in Foshan at the age of 13. In 1950, when he was 18, he made the transition to Wing Chun under his maternal uncle, Yip Man. This legendary master is considered to be one of the best practitioners of Wing Chun to ever exist, a reason why two Chinese-language movies (“Ip Man” and “Ip Man 2”) have been produced in his honor in recent years. Yip Man was Bruce Lee’s Wing Chun teacher; Master Lo mentioned that after Lee lost several fights he came to Yip Man and asked to become his student. “The master was very welcoming and laid-back,” remembered Master Lo. 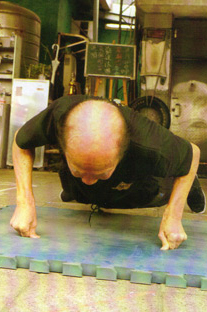 A member of Yip Man’s first class of students, Master Lo trained under his uncle for 10 years in Hong Kong before moving to Taiwan in 1960, where he continued to practice and refine his talent. After arriving he spent a short time studying at university before entering the army, undertaking three years of special-forces military training and eventually achieving the rank of major before being honorably discharged. Soon after leaving his distinguished career as a military officer Master Lo began his Wing Chun teaching. His school, located in the Songshan District of Taipei, evokes the humble beginnings of the typical protagonist in a kung fu movie. Classes, held on a building rooftop under a tin canopy, involve students working with traditional Wing Chun training equipment as well as with each other. In one corner of the large open-air space is the famous muk yan jong, or wooden dummy (lit. “wooden man post”). 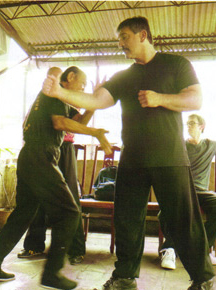 This is the classical Wing Chun tool for the practice of a range of upper-body strikes. Wall bags are hung for students to practice Wing Chun’s signature “one-inch punch.” On the floor there are hexagons drawn for students to develop their chi sao drills, which can be translated as “sticky hands.” This form of exercise teaches students to feel an opponent in order to determine where the next attack might come from. I had the opportunity to observe Master Lo’s morning class and it left quite an impression. The class was focused on advanced students assisting new students with different techniques. “Class is like a family,” explained Master Lo as he walked around critiquing his students, who came from all different corners of the world. Many were visiting Taiwan solely for the sake of training with Master Lo, while others were also pursuing work or other studies. On the rooftop studio, students were hard at work with various Wing Chun forms. Some were busy sparring with each other using “sticky hands,” while others were taking turns at the wooden dummy. All the while the ubiquitous Lo watched on, at times bringing the students together for a short lesson. Though very no-nonsense, the master has a sense of humor. Throughout our time together Lo laced his dialog with amusing anecdotes, and even demonstrated the one-finger push-up, a difficult feat for someone his age. I later asked what was unique about Wing Chun and its training. 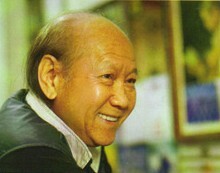 Master Lo stated that Wing Chun emphasizes actual reactions centered on feelings rather than concentrating on techniques and forms. Students learn to trust the feelings generated by their bodies rather than what they see with their eyes. Chi sao is a non-cooperative exercise which allows students to react to unexpected situations rather than simply going through choreographed movements. Wing Chun focuses more on agility and skill rather than brute force, and is first and foremost about protecting yourself. Students of all ages and sizes can thus be effective with the proper training. As Master Lo elegantly put it, “No one can touch you – that is good kung fu.” As a consequence of his mastery of Wing Chun and his numerous awards and achievements, Master Lo’s reputation as a legendary teacher has not only spread throughout Asia but also through Europe, the Americas, Australia, and even Africa. Over the years the master has taught thousands of students from across the globe. Many of his students have gone on to compete in martial-arts competitions, with excellent results. He has been the teacher of celebrated kung fu movie stars, sons of foreign ambassadors, and the grandson of the late Chiang Kai-shek. Since 1991 Master Lo has also been an advisor for the Taiwan national police force, and in 1992 he helped form Taiwan’s first SWAT team. Though he has received many lucrative offers to teach abroad, one from the royal family of Brunei, Master Lo prefers to teach at his residence in Taipei. Currently he gives day and evening classes, with the morning sessions for more advanced students. He encourages anyone interested to stop by and observe a class. The atmosphere is very welcoming and relaxed, and if what you see interests you, feel free to join up.